FSBOs are pestered by agents all the time, you have to take the right steps to earn their trust. Realtors already don’t have the best reputation. Then an owner decides to sell fsbo and gets calls and emails for the next month. Standing out is key, but earning their trust and respect is just as important. When you go to prospect them, put yourself in their shoes. Nobody wants to keep hearing how they are wrong over and over again. Stop making FSBO sellers feel like idiots! Take this line from an ad for hiring a Realtor: “You’re finally ready to admit you need help.” That’s insulting! Approaching these owners like this makes no sense. Instead, show respect for FSBO sellers. Show them stats showing there’s almost always more money to be made by letting you help. Once you separate yourself from the agents who don’t approach them right, the listing is so much closer to being yours. So don’t make the same mistakes that agents make when they annoy FSBOs. Don’t beat them over the head with the statistics too much, but still let them know. This is why prospecting is not a great way to go after FSBOs. Or at least the standard way of doing it. With that system, after you didn’t get a listing you move on to the next leads. So that’s where this ideology differs. Don’t ask them or pressure them, and they stay a warm or even hot lead. 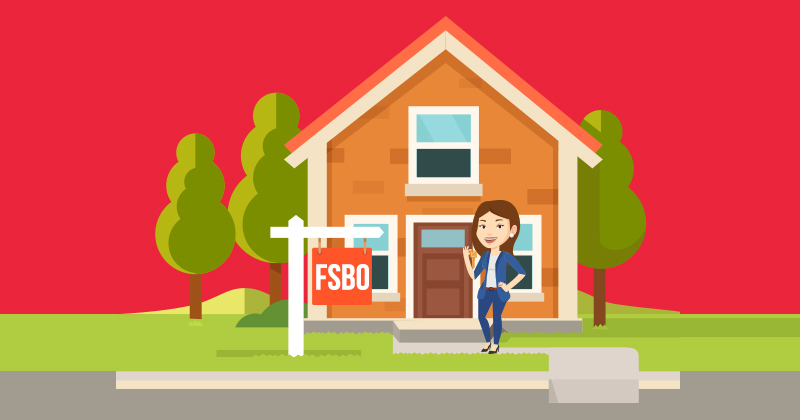 According to the National Asociation of Realtors in 2016, FSBOs sold for $185,000 compared to $240,000 for agent-assisted home sales. There is no need to keep contacting them over and over. 93 percent of all home sales were with an agent. Over 60 percent of FSBOs end up working with an agent. Only 6% of FSBO owners surveyed specifically said they did NOT want to work with an agent. So calling them and staying on them all the time won’t change any of these favorable statistics. Even calling once a week is probably too much. Even if you’re trying to be friendly to them, calling them that much does not serve any purpose. Calling them is fine, but only during certain times, scenarios and for certain reasons. Emailing them continuously or repeatedly dropping off your information at the home isn’t any better. Some agents think this is different and less intrusive. That may be somewhat true, but it is pointless as well. You have to let them come to you at their own pace. Not yours. Plus these aren’t personable either. Coming off scripted, distant and just in it for the money will ruin your chances. The owner will be able to see right through it. They are probably already expecting any agent only to be concerned about their potential commission. Even if you try and act like you care, chances are it will be able to see through. You have to actually want to help them. Otherwise, you won’t even get a shot to show them how much you could help them. Having scripts is a good idea. They can work a lot. But you have to use them correctly. Practicing them with someone in your office or your family is a great way to be comfortable with your script. You need to be good at altering scripts on the fly if you use them. Not every situation is the same. You already know this. But if you stumble when adapting the owner’s situation into your script, your relationship will start off poorly. They probably are expecting realtors to be distant and scripted. Their trust in you will already be off to a bad start. If they do ask any questions about their sale, you better know the ins and outs of the area and market. If that happens, it’s opening the door and giving you a chance to prove what you can bring to the table. When you don’t have an answer, the owner will have almost no reason to talk to you. So be prepared when you target these owners. If you help them and don’t ask for the listing, that’s going to build their trust in you. The best way to contact FSBOs starts with offering value. You have to do this for a number of reasons. Most agents just mention how they will get the home sold. The owner probably thinks realtors are worthless. Helping them is the goal here. This does that. It shows the owner you aren’t just it in for the money. Stopping by and meeting them while giving them something helpful will go a long way. This is one of our favorite methods at Smart Agents. It is one of the most personable ways you can contact them. Even if they aren’t home or don’t want to be bothered, drop off a book, pamphlet, or anything else that will help them learn about home sales. If you are door knocking, bringing food, cookies or any trinkets with your insight is a great idea. You could even bring them a pie. It’s the law of reciprocity. If you give something to them, they will feel obligated to give something back. In this situation, they’ll give you some time (and more respect than other agents). Now you see how fruitful it is to give them marketing tips, staging tips, and material to improve their listing. Who are they going to turn to first when they give up? This does not mean to drop off these things, then keep contacting each week. Still, let them do it on their own time. A follow up every now and then is ok, but preface it with new tips or information. 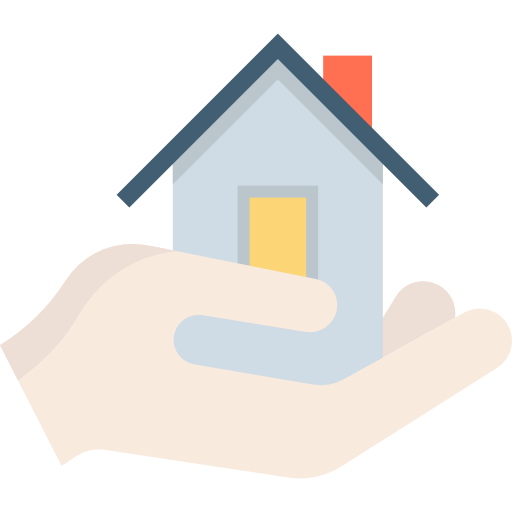 Keep offering to help in any way – without asking for the listing. How many other agents call and do this with FSBOs? Barely any. You’ll stand out. Then when you have a great rapport with them, show them how you market and sell homes. You really need to wait until they have complete trust in you. Too soon and it won’t have the same effect. Show them how you market better than other agents. Use your book or whatever you gave them to prove you are the authority. Be patient and persistent to win these listings. Then you can convince them it’s not worth it to sell alone. You can make them more even after your commission. But not only that, the ins and outs take so much of their time. This is one of the biggest cost associated with FSBO. It will almost always take the agent less time to get it sold. Talk to them about all the time they will have to put in doing each task, from trivial ones to marketing their home. Paperwork and inspections are things they need help with. Paperwork is one of the most complicated and not thought of parts, that owners run into when selling by themselves. According to the National Association of Realtors’ 12% of FSBOs said that it was the hardest part of the whole process. It varies from state to state but there is a whole lot of forms and legal paperwork they get stuck doing. The sales contract, disclosures, maintenance records and more are what needs to be done. Even if they have a pre-made contract that doesn’t mean they will understand each part of it. Track how much time and effort you will save them and show them. Sellers who don’t know the rules can get stuck with unnecessary and costly repairs. Owners should not expect their reports to cover more superficial conditions, the type that can be fixed with a can of paint. Many of the owners aren’t going to have a trained eye to know everything that needs to be fixed up and changed. Many will end up relying on the inspector for this information. Inspection reports and the time frame in which they are delivered vary a lot from situation to situation. A realtor makes this situation much more fluid. Staying the course and showing your patience is the big difference between a typical agent and a Smart Agent when chasing FSBOs. Do these things, and they will have enough trust to list their home with you.